The Preparations: My colleague and I prepared the program room for the competition by setting out all our tables, covering them with tablecloths, and setting out individual work stations complete with paper plates, plastic utensils, and rubber gloves (a necessity for a program in which customers are handling food). We also set out a pretty impressive table of supplies; in addition to the cupcakes, there were a variety of icings, candies, fruits, and odd items (Chex mix, bacon bits) available for the competing chefs to use in their creations. Preparations also included pre-ordering un-iced cupcakes from our local grocery store and picking them up before the program. The Challenge: Once teens had arrived for the program and made their way to the work stations, we shared the rules of the event. Each teen would be working individually (sometimes teens work in pairs or teams, but we had enough supplies for a solo competition this time around). The challenge was to choose a book--any book--and create a cupcake creation somehow inspired by or related to that book. Each teen had three cupcakes with which to work, and each teen could use only four additional types of food items from the supplies table. Final creations would be judged by peers on appearance and fidelity to book inspiration, and a panel of official judges (staff and a designated teen participant) would also judge based on appearance and taste. The Competition: Once rules were explained and questions answered, teens went to the supplies table a few at a time to gather their ingredients. To avoid total supply-grabbing chaos, we had teens head to the supplies based on birth month. Once supplies were in hand, teens had a total of about 30 minutes to work their cupcake magic. They could return to the supplies table for additional quantities of any of the original four supplies they had chosen. The Peer Judging: When work time had elapsed, teen chefs were instructed to put down their materials and plate their best cupcake to be judged. Each teen was then given two popsicle sticks. These popsicle sticks were used to cast peer votes; each teen had two votes, and each teen could only vote for his or her own creation once. Teens were instructed to look at all the creations in the room and then cast their votes based on best appearance and best fidelity to book inspiration. These votes were then tallied while teens ate one of their other cupcakes. The Official Judging: One by one, each teen brought his or her formally plated cupcake to the judge's table for presentation. Teen chefs were asked about their book inspiration and how that translated into their cupcake creation. Judges sliced into each cupcake and tried a small piece for taste. The Awards: After tallying peer votes and conferring over appearance and taste, the official judges announced four winning cupcakes: the top two peer-voted creations, the tastiest book-to-cupcake interpretation, and the most daring cupcake. Our peer-voted winners were a cupcake based on The Maze and one based on I'd Tell You I Love You But Then I'd Have to Kill You. The tastiest went to the cupcake inspired by The Sin-Eater's Confession, and the most daring was definitely the cupcake based on Alice's Adventures in Wonderland (yes, that's marshmallow fluff with bacon bits that you see; not particularly tasty). Each of these four winners posed with their creations before being awarded a rather large, fancy, store-bought cupcake. All participants were able to choose an ARC or leftover summer reading prize book as well just for participating, so everyone left happy. We've hosted a number of Iron Chef and Cupcake Wars programs in the past, and interestingly, they tend to attract lots of teens who don't normally frequent library programs. We're not quite sure why this program is so much more appealing to these library-lite teens; have you had any experience with this phenomenon, and to what do you attribute it? Also, any plans to offer a food competition program? Let me tell you, hosting a snacks-themed challenge around the Super Bowl is always a hit. Do you post reviews of children's and/or young adult books on your blog? Or maybe apps? Or perhaps both? Are you curious what it's like to sit on a virtual award committee? To engage in virtual book discussion about very real books, some of which may be delivered to your home address by publishers? Have you always wanted to be part of a group that awards the finest and most kid-friendly literature in a given genre in a given year? Yes, yes, and yes again? Well then you should apply to be a Cybils judge! Yes, YOU! 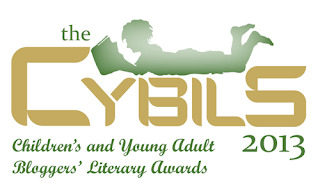 The Cybils are annual awards for children's and young adult literature organized and chosen by kidlit bloggers. These are the folks who read and review, read and review, until their library customers or students make a game out of trying to name a book the librarian hasn't read. That's how they pick the best of the best in terms of both literary quality and reader appeal. 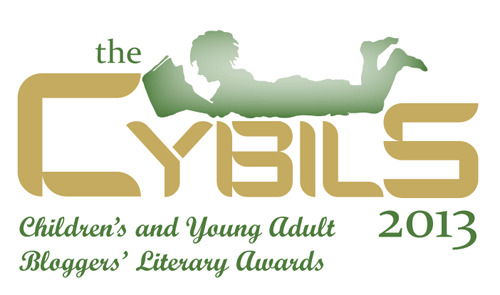 In all seriousness, the Cybils are a tremendous award, and they annually recognize some really fantastic books and apps for young people. I look forward to the announcement of the finalists and winners every winter, and last year I was privileged to be a member of the Round 1 Middle Grade Fiction panel. I cannot participate this year as, ahem, I've got some other reading things going on at the moment. You, however, should seriously consider applying to be a Cybils 2013 judge. You smart thing, you. The deadline to apply for a position as a Cybils judge is August 31, so get to it! 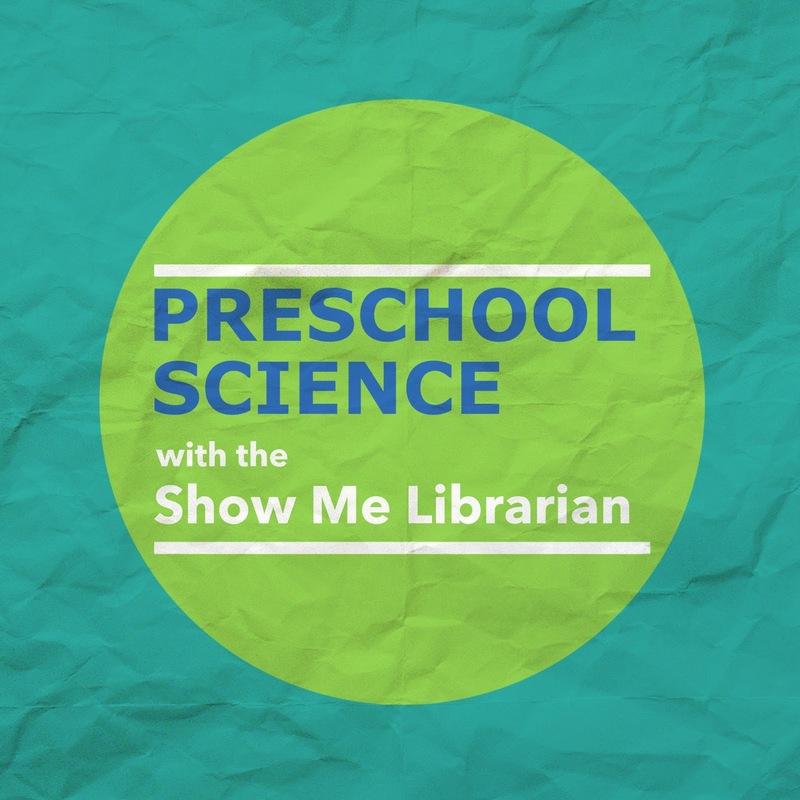 I'm over on the ALSC Blog today sharing the whys and how-tos of my most recent Preschool Science program, all on the topic of gravity. We read, talked, and played together to explore how gravity works. Head on over to find all the details, then steal the program and make it work for you and your library. It's the back-to-school season right now, and the slightly emptier children's section during school hours puts my mind to thinking of the ways we reach kids when they're at school. 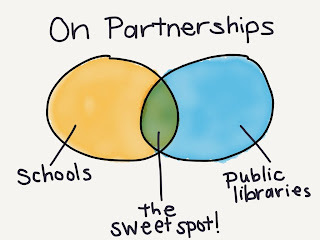 Partnering with schools doesn't necessarily seem like the most obvious programming decision when local schools are fortunate to have terrific school media specialists, but I am a firm believer that there are many, many things, schools and public libraries can do for one another. We each have different goals and obstacles to reaching those goals, but by working together we can usually find some creative ways to make both our institutions even better. Library presence at local Back to School Fairs - Families in my local school district benefit from two different Back to School Fairs that take place on Saturdays at the beginning of August. The two fairs combined see over 5000 families, and it's a prime forum for community groups and organizations to share information with families. Many families attend because the fairs include distribution of free school supplies, but I love when they stop by my library table and find out what other great programs and resources are available to them for free. These back-to-school events are also great for promoting upcoming big-ticket programs, like our fall author programs with Peter Brown, Brandon Mull, and Maggie Stiefvater. Library presence at School Literacy Nights - I've talked about my visits to "Title I" nights previously. Taking library programming to the schools - I visit schools every spring to promote the public library's annual summer reading program, but I also recently started bringing some STEM programming to special education classrooms. Bringing students into the public library - I love when school groups come visit the library for research visits. We have a number of parochial schools in my community, and several of them don't have library collections suited to research projects of older elementary-age students. They arrange field trips to the library to fill this need, and I love interacting with these students. I usually tell a story to get them in a comfy, enjoy-the-library mood, then I explain how the books are organized and how to search for resources they need for projects. We also talk a bit about electronic resources before they head into the stacks to do research. 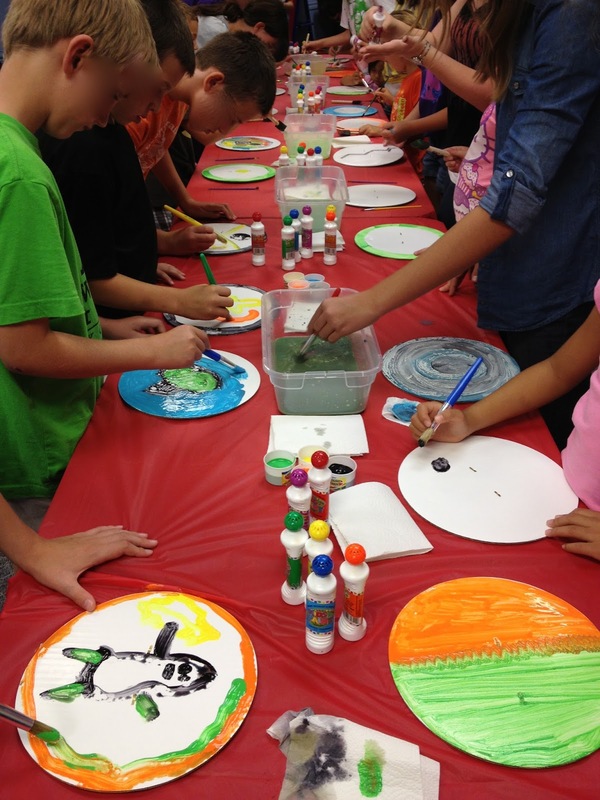 I've also talked previously about how my branch library partners with a local elementary school to showcase students' work from art class in the library. Book Discussions - I'm looking forward to book discussions with groups of interested students at the local elementary schools. Both the school media specialist and I attend and facilitate discussion, and our partnership also entails the public library helping provide discussion sets of books while the school media specialist coordinates readers between monthly meetings. Our discussions can vary from a year of genre exploration to mock awards, but regardless of the books the students develop extraordinary skills for thinking and talking about books. Supporting Staff - My local school district has a professional development day every spring, and for the past few years they've invited folks from the library to talk to all of the school media specialists. This past spring, I was charged with introducing some readers' advisory resources that teachers can access from school with their public library cards. The public library is happy to share access to tremendous resources like NoveList, which schools often cannot justify paying for on their own. I also talk to my local school media specialists about what sorts of information I can provide to them and/or their students regarding library resources, and I am happy to provide workshops as needed. The nature of partnerships is such that I feel sure additional projects will pop up during this current school year, and I hope that schedules allow me to do whatever I can to support our local schools. 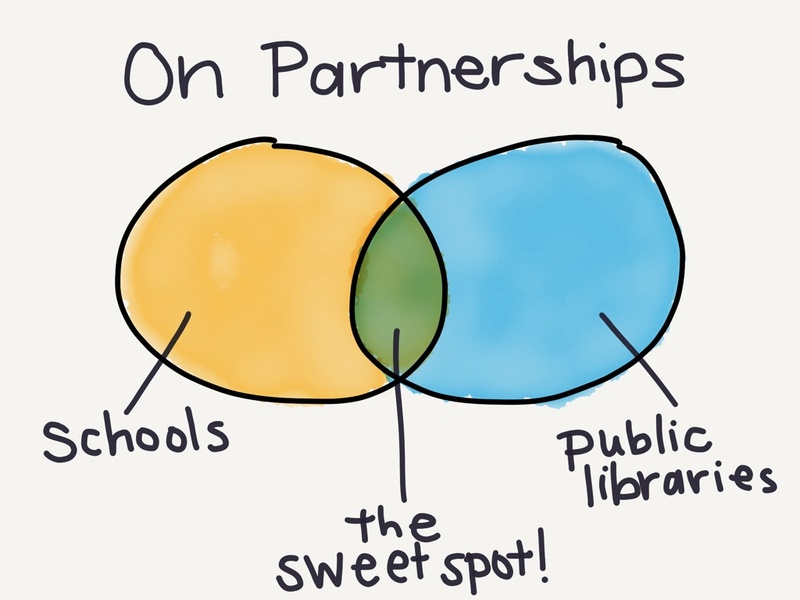 Students and teachers need resources, the public library wants more community members to know about and use the library... school partnerships allow us both to meet our goals. I may not spend much time in local school buildings, but my work absolutely connects back to schools. And that's a very good thing. How do you partner with schools? This past Wednesday, I worked a split shift. In the morning I was out of sorts. My state of mind had nothing to do with customers or colleagues, just allergies, but I hated feeling like I was in a funk. That evening, however, I was in the zone. My search queries quickly returned great results, I helped save school documents in the nick of time, and I rocked some readers' advisory conversations with middle graders. By the time we were ready to close, the library quiet, I started to think on my two very different states of mind during the day and whether how we feel affects the service we provide. they haven't figured them out yet. You see, in the evening, a mom came into the library with her preschool-aged daughter. The mother needed to get a library card so she could use our computers for a little while, and her little girl was about to have a meltdown at the prospect of sitting next to the computer for what is, in kid-time, eons. In this particular instance, the library's level of busyness allowed me to give this girl a few minutes of attention to get her acclimated to the library and engaged in something. I asked her if she'd like me to bring some toys over by the computer for her to play with--and of course she said yes. Off I went to the children's area, grabbing an alphabet machine, a magna doodle, and a wordless picture book, and I brought them to a table adjacent to the computer where her mother was working on something important. I showed the girl how she could make up the words to the story that was just pictures, and when she asked for crayons and paper to draw her own story, I grabbed them from the reference desk. Meltdown averted, little girl engaged in self-directed activities right next to mom doing the work she needed to do. That five minute, full-attention interaction with the young girl saved the whole library from hearing bored whining for an hour while mom was on the computer, and it made mom feel successful in her library visit. My question is, do we always do all we can for our customers? Even if we're not feeling like our patience tanks are 100% full? Even if the customer interaction isn't driven by a question or even an address to a staff member? Or do we do just enough for everyone to be superficially satisfied? My questions kind of relate to that Reference 101 scenario: a customer asks if you have a book on x topic; you could say "No" and leave it at that, or you could say "We do not have a book, but let's look in our databases for some good information." Both technically answer the question. But are we doing all we can? Perhaps this whole post--sorry if it's not that exciting or idea-driven--is a way of reminding myself to always ask myself that question: am I doing everything I can here? Am I trying to respond to unspoken questions or concerns, or am I ignoring them because they aren't formally part of the reference interaction? In particular, am I doing all I can for the children who use my library who may not even know what to ask for, or how to express what they want or what they're feeling? Doing all we can for our customers can be hard some days, easier on others. But doing all we can does wonders for building a sense of comfort between the library and its customers, a sense that the library is a place they want to spend time and where staff care. I like to think that's the sort of library we all want to work in--one where we'll happily move some items from the children's area when a caregiver has computer work and a kid needs something to do. Next time I'm having a cranky allergy day, that's what I'll be reminding myself. Last summer, when my library district's teen department put together our first all-TAB lock-in--an after-hours event for members of the various branches' Teen Advisory Boards--we had an inkling that it would go over well. And it did; these library-loving teens were psyched to have an exclusive library experience just for them and their peers. So of course we realized we'd need to offer the program again this summer. Which we did, last weekend. Once again, we had two requirements for teens who wanted to attend our after-hours (although not overnight) lock-in: 1) they needed to be an active member of on of the branch Teen Advisory Boards; and 2) they needed a permission slip signed by a parent or guardian. We also asked that teens bring to the library a non-perishable food item to donate to a local food pantry, although that part was optional. Lest you think our teens are slackers, let me tell you our stats: our 74 attending teens donated a total of 115 food items. Two of our teen services staff members took on the task of checking in all 74 teens as they arrived, checking their names against our permission slip records. Kids mingled until the pizzas showed up, at which point a long but polite line formed and everyone chowed down. After dinner, another staff member made staff introductions, shared the night's schedule, and went over ground rules (basically, be nice and don't go in off-limit areas). 4) Games: Some teen services staff prepared two different games: Minute to Win It challenges, and also a music game requested by the various branches' Music Clubs. Prizes included galleys and left over summer reading prize books. 9:00 - 9:15 p.m.: Egg Hunt--in the dark! Between the library closing at 6 and teens arriving at 6:30, a few staff members and I hid over 200 plastic eggs stuffed with candy throughout the stacks. We figured out how many eggs each teen could get in the first go-round, then announced that it was a free-for-all for the leftovers. Have you tried hunting eggs in the dark? Not as easy as you might think. Teens all but demanded we have the check-out computers on and ready to go so they could check out books at the lock-in. We hold the lock-in at the branch with the largest young adult section, so many of the teens are in awe at the plethora of reading options in front of them. Our 74 teens checked out 99 items in that 15-minute stretch of time. Long story short: there would have been a riot had we not played glow-in-the-dark capture the flag. I explained the rules and took our group photo before staff split the TABs into two teams (keeping whole branches together). Both teams asked for about 15 minutes of team strategizing before the game officially began. As with last year, one team's home base was the children's wing, the other team's area was the adult wing, and the neutral zone was the lobby and check-out area in between. Staff were armed with Nerf guns and crossbows, and any teen hit by our ammo had to go immediately to jail. Let me stress this point: teens get really into this game. They have complicated attack plans, evasive maneuvers, spies... it can get really involved. This year, both teams hid their flags so well (ahem--kind of cheated, albeit equally) that it took the full 60 minutes of gameplay to have a winner. Intense. As each teen entered the lock-in, they added their names to a drawing basket. About a dozen teens were randomly selected as winners in the drawing, and they could choose from a variety of Barnes and Noble gift cards and signed hardback books. Can I tell you how excited it made me to see how excited teens were to win any of these items? All of the teens were picked up by their appointed rides by 12:15 a.m., with library staff monitoring the pick-up process. At that point, all that was left for we staff members was to finish tidying up, put stray items in the lost and found, take out the trash, and lock up. I am really thrilled with how this second annual All-TAB Lock-in went. The teens had fun, made new friends, and experienced the library in a way that pretty much no one else gets to do. Sure, there's a good amount of planning and staff time that goes into putting on the event, but the teens' sense of ownership in the library after attending hushes any questions of whether it's worth it. Oh, it's worth it. This story about a deer couple who adopt a baby (who turns out to be a monster) is both funny and sweet. Okay, there's a big, two-page spread burp in there, so it's mostly funny. 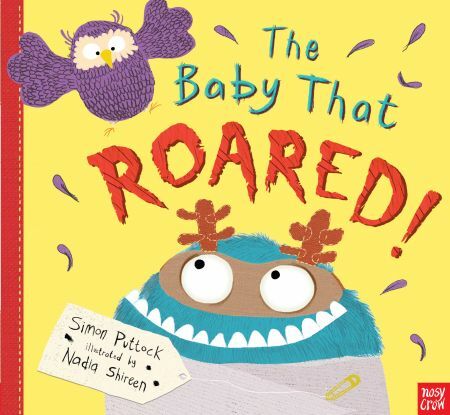 It's a slightly longer tale, but the way the pictures are laid out allows plenty of opportunity for getting the kids to interact and think about what they see on the page. Nothing quite wakes up a body in the a.m. like marching around the room with monster claws ready, teeth bared, and roaring. 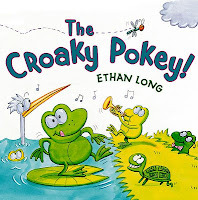 That's what we did, and the fun, interactive song really got all of the kids moving. This is one of my favorite egg shaker songs, as evidenced by the fact that I use it in many different program scenarios. Kids get excited as soon as they hear me grab the bag of egg shakers, and older preschoolers get really into trying to shake their eggs in the different ways the song suggests. Younger kids have fun figuring out how the shakers make noise, then put that knowledge to work. I used this app more like a picture walk interlude than a start-to-finish story--that's the mood my kiddos were in, and this app's setup obliges. Using the images from the app, which were projected on our large tv screen, I asked what animal was looking for her baby. Then the children guessed where the baby might be before I touched the iPad screen to bring the baby into view. Everyone chimed in making the appropriate animal sounds. This app might not have held the whole group's attention had I used it in its full form, but it definitely kept kids interested and engaged for four rounds of animals. A roll of our song cube told us we'd be singing this song, and I pulled out my ukulele to accompany our singing, clapping, stomping, and hooray-ing. Pretty much every kid was up and dancing. I told the story of Henny-Penny, and I encouraged children to chime in on the refrain of "The sky is falling!" Many of them did join in, but as our large group began to get restless, I left off a few animals in my telling to speed along the resolution. 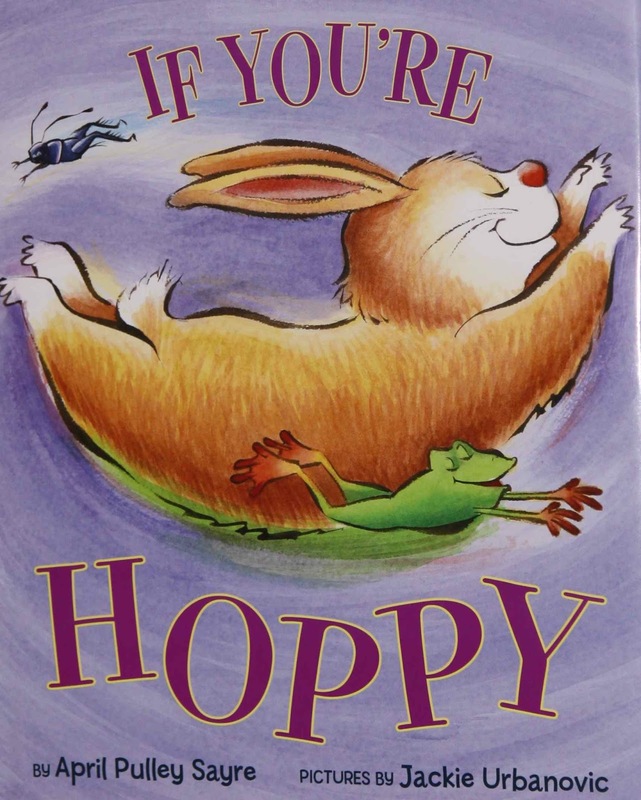 I had books with Henny-Penny's story available for check-out, so kids who got really into the story could take the full version home. This month's cookies were Trader Joe's Cinnamon Schoolbook Cookies, small cookies cut in the shapes of letters and numbers. As I passed out a few cookies to each child, I encouraged them to figure out what letters and numbers they had on their napkins. Quite a few children were excited to find they had the first letter of their names. August's free play session would probably rank as the best so far in terms of engagement by pretty much everyone in the room. Caregivers were down at the play tables with their kids (and other kids, too) asking questions, helping put together monsters, demonstrating our magnet wands, and assisting with shape puzzles. With so many kids in the room, it seemed like the children were more comfortable interacting with their peers than in months past. There was a core group of hard-core players, too, who stayed almost 45 minutes after the story time portion of the program to let their imaginations run free. I'm currently reading Vivian Gussin Paley's A Child's Work: The Importance of Fantasy Play for the Storytime Underground Book Club, and it was very exciting for me to see my library kids engaging in that sort of fantasy play at the program. I very much want our library to present ample opportunities for this vital developmental practice. It happens to all of us at some point: we get sick on the day of one of our carefully planned programs. 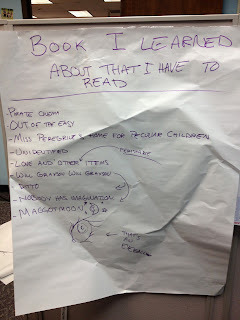 That's what happened to my co-worker this week--she ended up sick on the day of her Time for Twos story time program. Sick days leave story time fill-ins two options: 1) use the sick coworker's program plan and do their best to offer a story time the group would recognize; or 2) leave the coworker's plan for her return and instead put together an emergency story time program. Both answers can be correct depending on individual programming style. Since I'm a particularly free-style story time leader, I tend to choose option 2. Putting together emergency story times, when it comes down to it, is really about being comfortable with your programming repertoire. We have all read so many books and sung so many songs and led so many rhymes and created so many crafts. Emergency story times mean pulling program components from your collective experience to create a sure-to-please, or at least sure-not-to-stink, program. 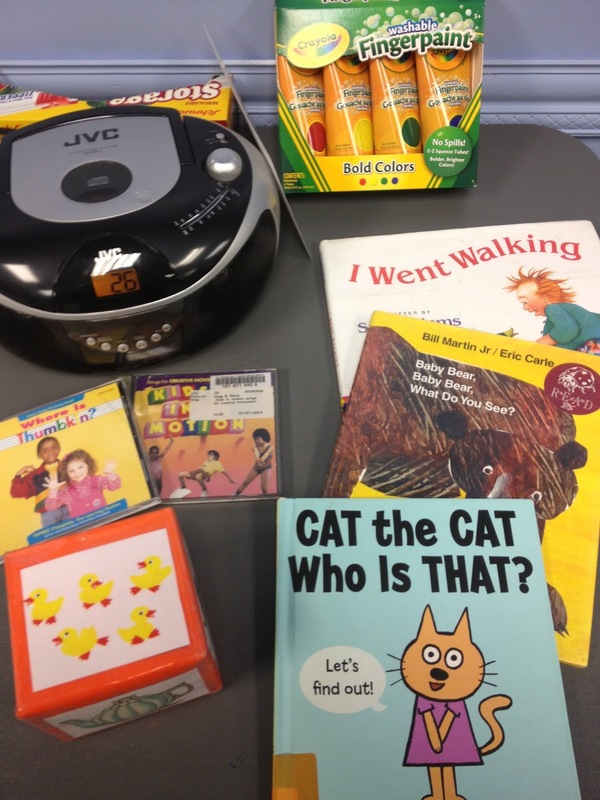 No need to have a cohesive theme--when the regular story time leader is sick and the kiddos are confronted with a new face at the story time helm, the option of a "regular" story time is kind of nonexistent. 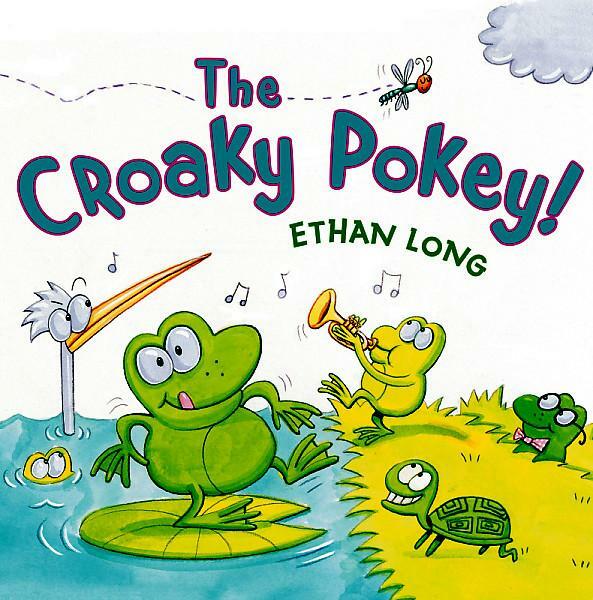 It's all about having fun early literacy experiences in this already out-of-the-ordinary story time setting. I grabbed some books that two-year-olds love, hands down. I always have success with Bill Martin, Jr. titles, so I grabbed one that was on the shelf: Baby Bear, Baby Bear, What Do You See? I also love the Cat the Cat series from Mo Willems, which are perfect length, vocabulary, and content for young preschoolers, so I pulled Cat the Cat, Who Is That? from the stacks. I rounded out my book offerings with a title plucked from our "colors" concept bins: who hasn't had success with I Went Walking? I rounded up some musical and fingerplay options that would be both familiar and exciting to the two-year-olds. 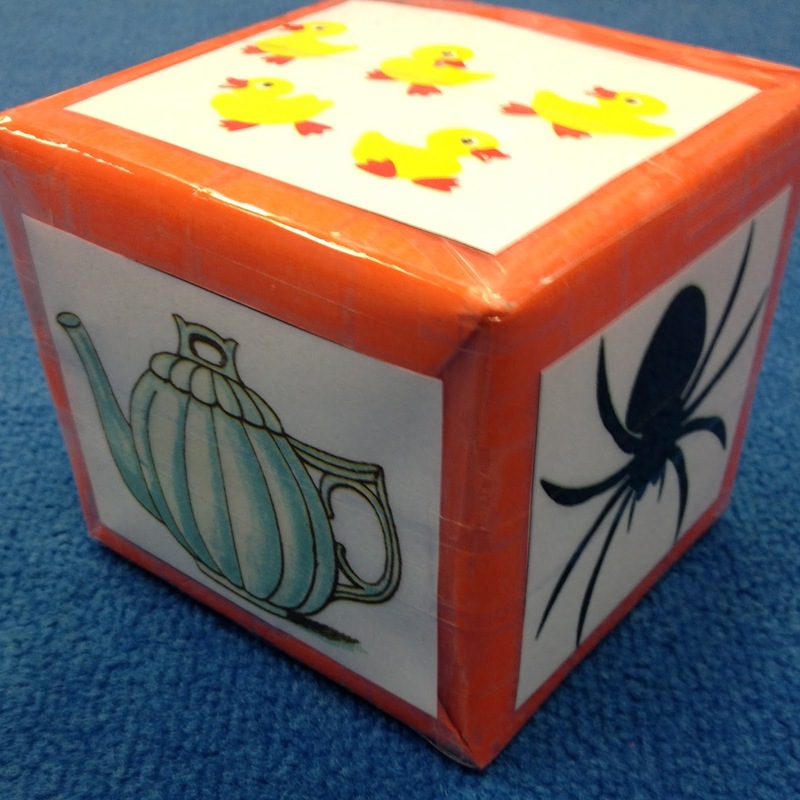 That meant, first and foremost, that I grabbed my song cube out of my personal story time bin; a toss of the song cube determines which child-friendly song we sing as a group. 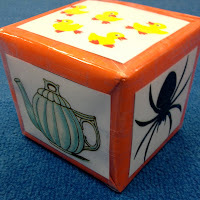 Today's random selections were "Head, Shoulders, Knees, and Toes" and "Five Little Ducks." I also pulled a coworker's go-to Greg and Steve CDs out of her story time bin (don't worry, I put them back!). Animal stories meant doing at least one "Animal Actions" song. Interactive hits, all of these. I grabbed some craft supplies. I am all about the process crafts, and I love explaining to caregivers that process crafts offer so many more creative, exploratory, and diverse motor skills benefits than ready-made product crafts. Process crafts are also simple to put together on the fly, as they only really necessitate basic supplies. 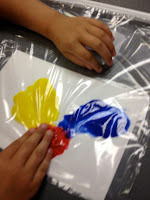 I pulled from our craft cabinet some zipper-lock plastic bags, cardstock, and fingerpaint, and our activity was un-messy fingerpainting using primary colors. I got to share with caregivers that their children were strengthening finger muscles that will help with writing while also exploring how paint feels and how colors combine. I stuck to my co-worker's opening and closing routines. My co-worker greets her twos by saying hello to each of them in a sing-song voice and waving. I did this same routine to help make the transition into story time, and I also explained that Miss Melanie was sick so Miss Amy would share some books and other fun things on this day. At the end of story time, I turned on our bubble machine; our regular Time for Twos programs always end with the bubble machine turned on for kids to enjoy. Ending with the bubble machine made the transition out of story time a smooth one, as kiddos are used to playing in the bubbles and then heading back into the library after they were done. How do you approach emergency fill-in story time situations? We made it through another bustling summer reading program here at my library. To say I'm proud of my colleagues and volunteers and all the hard work they did to make this summer a success would be an understatement. My medium-sized branch couldn't see these sorts of participation numbers without them. I hope you, too, had a successful summer. And I hope you are enjoying a bit of a break before fall programming kicks into full swing! The new Percy Jackson movie was released this week, and at the suggestion of several members of my Kids Advisory Board, I offered a Percy Jackson Party program to celebrate the fans of both the books and films. This program took place at the tail end of summer reading, which means I had no guarantees about the amount of prep time I would have for the program. What better occasion for utilizing the unprogramming method? Something Literary: I started the program by greeting the school-age children and launching right into our literary content for the program. We talked a bit about what we like about the Percy Jackson series, and from there I booktalked some readalike authors and titles. I made sure to display non-fiction books on Greek mythology as well as the fiction titles I shared--after all, the basis of many characters' backstories in the Percy Jackson books come straight from these ancient myths. I then told a Greek myth: the story of Theseus and the Minotaur. I love exercising my storytelling chops with old tales like these; since the stories were originally part of an oral storytelling culture, they work really well when told aloud in library programs. Some of the children had already heard the tale of Theseus and the half-man, half-beast Minotaur, but they were interested in my telling just the same. A Group Activity: I had set out a few tables in a long, single-table arrangement, and each table had all the supplies for painting. Our craft activity was to paint shields (cardboard cake rounds + ribbon + brads = a shield with a handle). I introduced the activity by noting that ancient warriors used their shields not only as a means of protecting themselves in battle, but also as a way to distinguish themselves to others. Shields often had very personal carvings and decorations that reflected the personality and life of the shield-bearer. Stations of Stuff: With the help of two teen volunteers, there were three stations through which kids could rotate to engage in Percy Jackson-relevant activities. Children were free to move from station to station as they pleased. Feeding the Cerberus - I cut a hole in a piece of particle board and added a picture of the three-headed hound that guards the Underworld to create this game station. Kids used soft balls meant for the pool to try and feed the Cerberus by tossing the balls at the opening. Archery Against the Gorgons - I printed and laminated three pictures of Gorgons, the mythological evil sisters with snakes for hair. 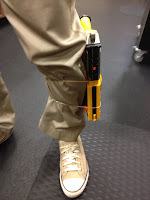 Children used our library's Nerf crossbows to try to defeat the Gorgons. Greek Gods & Goddesses Go Fish - I made a full deck of cards bearing the images, names, and descriptors of major Greek gods and goddesses. I helped at this station, as not all of the children were familiar with "go fish," but everyone quickly caught on and the game became quite popular. So popular, in fact, that we wrapped up the program with a massive game, everyone seated on the ground around our story time rug. Stations of Stuff is a perfect arrangement for larger group programs like this one; since children are able to move from activity to activity at their own pace, they never feel bored or left out in the middle of an activity. There's always something for everyone to do, including going back to the craft table to add more detail to one's shield. That was our Percy Jackson Party program. You may be thinking that I didn't do much that tied explicitly to plot points in the Percy Jackson universe, but that was intentional on my part. The kids who have read the books and/or seen the movies were excited to talk about PJ with their peers, but kids who weren't familiar with the PJ universe never felt left out because they didn't know trivia or specific plot points. Everyone got to have fun and engage in activities that expanded beyond the book, hopefully piquing interest in other readalike books or in mythology. Have you offered a Percy Jackson program at your library? What sorts of activities did you do? Not too long ago, librarian Kary Henry tweeted that she had just hosted a successful unprogram. She shared a few details on Twitter, and I knew immediately that we'd all benefit from hearing more about this program. Without further ado, here's guest blogger Kary Henry! The décor consisted of maps of fantasy books/worlds that I had located on Pinterest and other websites: Oz, Narnia, the worlds of Harry Potter, etc. I gathered some books on mapmaking along with fictional titles that had maps on endpapers and displayed those on the counter. The laptop and projector were set to run National Geographic’s Interactive map website. Supplies were purchased at a local craft store or found in our cabinets: silk flower petals, aluminum foil, craft sticks, colored pencils and markers, ribbons, colored pebbles, Bristol board, and good glue. Total cost for the program was under $30! 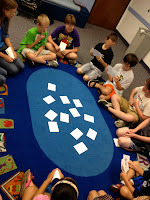 When the children arrived, we talked for a few minutes about what a map is, why we use them, parts of a map (scale, legend, compass rose, color), and how a fantasy map can be based on a book or of a world in their own imaginations. We mapped Deerfield using the National Geographic website, and they were excited to put their homes, schools and, of course, the Library on the map. Less than 15 minutes in to the program, I let them loose with a piece of Bristol board each and the above supplies. The conversations as my teen volunteers and I walked around the room were wonderful – discussions about what was important to include on a map of Harry Potter or how to combine HP with the world of Rick Riordan, even how best to make a pirate ship out of cut-up craft sticks and a bit of ribbon. Some children chose to use the supplies to create relief maps; others used the colored pencils and markers only. The kids were excited and proud to pose with their maps. Forty-five minutes later, as the adults returned, their children didn’t want to leave! My first attempt at an Unprogram had been just as Marge and Amy hinted it would be: relaxed, kid-focused, and wildly successful. I’m already looking at how to continue to use this approach in future events and in my early literacy storytime sessions. For me, Unprogramming has become the ultimate in programming! Kary Henry is a Youth Services Associate at the Deerfield (IL) Public Library. She coordinates the Library’s preschool outreach and runs the 4-5 year old early literacy storytimes. She can be reached at khenry(at)deerfieldlibrary(dot)org and @MissKaryReads on Twitter. Pictures provided by Kary Henry with permission of shown children's mother. Almost a year ago, I included Mixing in Math in a post listing where I get my program inspiration. I still count Mixing in Math as one of my top resources for the math component of my STEAM programs and services, and I wanted to highlight some of the great content they offer that may help you to STEAM, too. Mixing in Math is an initiative from TERC, a Cambridge, MA-based non-profit center for math and science education. Part of their core philosophy is that "daily life is full of opportunities to explore math," and that holds true for all ages of people. As a result, Mixing in Math's resources work great with school-age children specifically, although there are many preschool applications. Mixing in Math boasts a number of projects and resources to help educators, caregivers, and librarians turn these daily math exploration opportunities into meaningful math learning through fun games and activities. Monthly calendars -- These calendars, with general monthly themes like "weather," "nutrition," and "poetry," can be used in a number of ways. They are printable, so librarians can share them directly with families. They are also a great place to find simple ideas for math activities to add at the beginning or end of a program. Calendars are available in English and Spanish. Lots of activities -- These activities share ideas for math concept learning with step-by-step instructions. 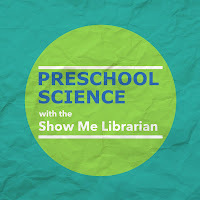 Their "Height Museum" is a terrific preschool measuring activity; the "So Sweet" experiment would be a hit science-experiment-and-math activity with school-age kids. These activities are available in English and Spanish. Newsletter -- Want tons of ideas for simple math activities delivered to your e-mail monthly? Then subscribe to the newsletter. I always find useful activity ideas. Printable Posters -- These posters pose questions about the animal kingdom, space, and creativity, and they encourage kids to use library resources to find answers to mathematical questions like "How many giant pandas live in the wild?" Math and suggested use of print and electronic resources? Love it. 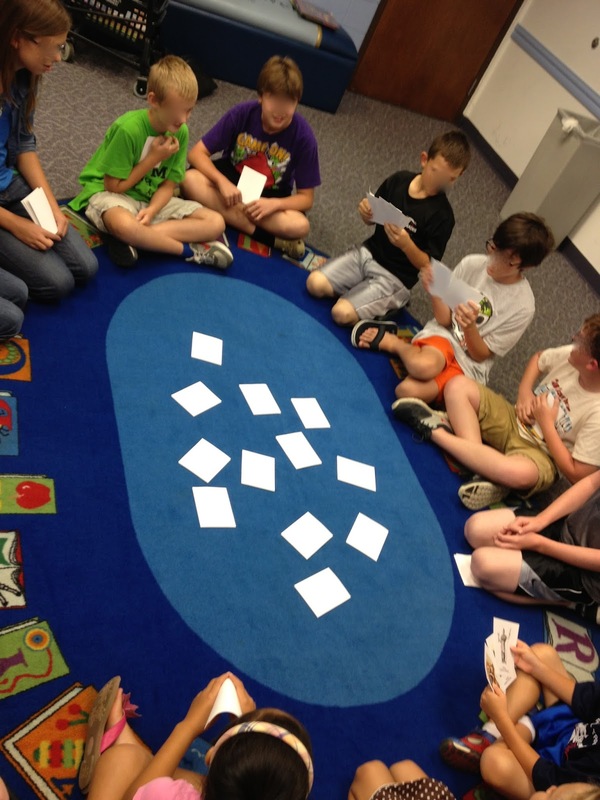 An archived training webinar -- This hour-long archived webinar perfectly blends the motivations behind Mixing in Math with practical activity and program ideas--both active and passive--that work well in libraries. I left the original webinar with tons of ideas for mixing in math at my library, and the webinar content definitely holds up. Food Fights, Puzzles, and Hideouts -- This book from Mixing in Math and Tumblehome Learning combines some tried-and-true older activities with tons of new games and projects developed just for the book. The content includes games, projects and crafts, food activities, group activities, and "Anytime, Anywhere" activities as well as listings of activity ideas by month. The back of the book also features information on how the different activities fit in with Common Core standards across K-5. This resource would make a great addition to non-circulating professional collections as well as homeschooler or teacher resource circulating collections. Essentially, Mixing in Math exists to help make clearer and more impactful the sorts of math-rich activities we already do; it helps us adults be more intentional in developing kids' math skills through our interactions with them. Does that sound familiar? I think librarians can draw a strong parallel between ECRR for early literacy and Mixing in Math for math: both initiatives offer practitioners ideas for maximizing the skills-development impact of the activities we do with kids, and both equip practitioners to impart tips and sound bites about the importance of these skills to caregivers. Have you used Mixing in Math? I'd love to hear how you get this great STEAM resource to work for you. I work with a great teen person at my branch library. Long story short: teens respect Angie as a staff member while also enjoying her company and conversation. Which makes programs like the one she's sharing here work really, really well. I just had a wonderful program called "Chat & Chew: Coffee and Donuts Edition." Eight teenagers attended the morning program, and it was soooo much fun! In preparation for the program--to make sure we had plenty of books to talk about--I pulled books from the list of titles that teens discussed at the BFYA session at ALA. 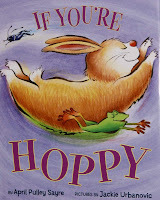 I also pulled books from Debra Hipes's lists, etc. In addition to sharing books, 3 teens read excerpts from books they are currently writing; they all want to start a writing club here....oh my! Amy here again. What I love about these Teen Chat & Chew programs is that they are a) literacy focused and b) completely open-ended. There's space for conversation to develop along whatever lines interest the attendees, but everyone leaves having heard about great titles regardless of the direction of conversation. The program also involves little staff prep--books are pulled ahead of time and prompts are considered in case chatter wanes. Also, the only expense is the "chew" component; and goodness knows you must always feed the teens. What results from these simple components is a safe space for teens to talk about books they love, issues they're thinking about (there's often an impromptu LGBT thread in these programs), and their personal interests. Hey, they even feel comfortable enough to not only read their own writing aloud, but to request a writing club program as well. These teens spend so many programs and volunteer interactions listening to us, the library staff; I love that we can offer programs in which we have ample opportunity to listen to them.